Torrential rainfall for three days in August 2014 and caused devastating landslides and flooding in the Surkhet District of Nepal where Sisters minister. 128 people were declared dead. 23 were seriously injured. 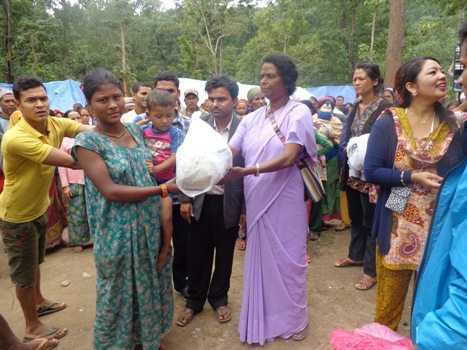 According to the official record of District Natural Disaster Management Committee (DNDMC) Surkhet, the flood affected 3,700 families including 8,416 persons including children. 6,577 people who were affected by flood were sheltered in 42 temporary camps. It is reported 1,581 houses were completely washed away and 301 houses were partially damaged. 1,843 live stocks were also washed away in the flood. 15 government schools were completely destroyed and 31 government schools were partially damaged. One of the child centers of Navjyoti Center was washed away and four of them partially damaged. As soon as the news of flood spread around SCN sisters and Navjyoti staff visited various parts and met with the people who were staying in different schools. 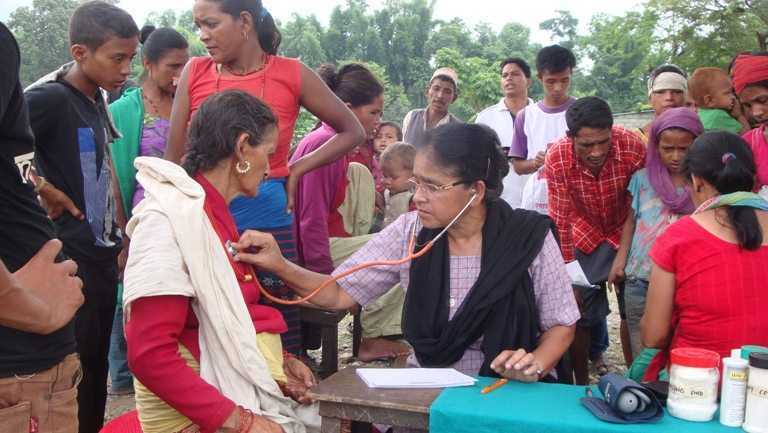 Navjyoti mobile health team visited the shelters and provided medical help along with the district health office. Used clothing was collected and distributed to those affected by flood. Edible things (rice, pulses, oil) were purchased and handed over to government officials who were appointed for distribution. Clothing, food and p form support to 18 maternity cases sheltered in safe mother’s house. Educational materials purchased and distributed to 1,356 students in different schools who lost everything in the flood. 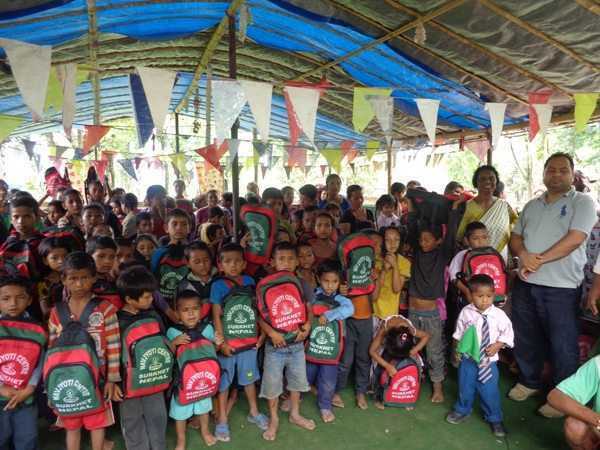 Teaching materials supported to 16 government schools affected by flood. Nutritional support to 473 pregnant women/ lactating mothers in different shelters on four times. 6 child education centers maintained in 6 areas including shelters for 107 children. Psychosocial counseling for 754 flood victims. Liquid chlorine (piyush) distributed to 1,000 families. Quilt distributed to 451 families. Child Center sheds repaired four, newly built one. Awareness programs organized for children 257 children participated. 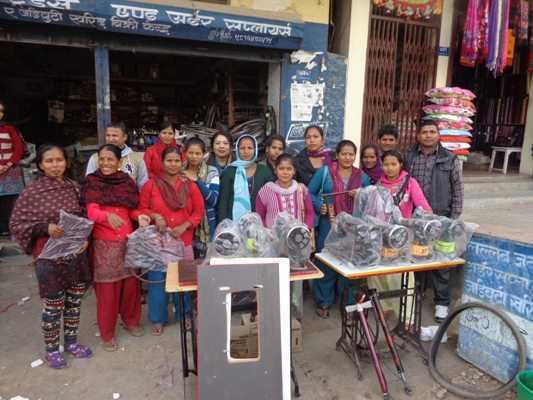 Tailoring machine support to 25 people for income generation. Rehabilitation of 51 families with house construction (two room, kitchen, toilet). Private funds maintain operating costs so 100% of what you donate goes to the missions of the Sisters of Charity of Nazareth.